I saw in the book, "The midrash says" by Rabbi Moshe Weissman that the Midrash Socher Tov 22 explains that a creature called R'aim that David mistook as a hill, lifted David up into the sky and only after seeing the lion did it crouch down and David managed to jump off and escape (see here for details). What is this animal R'aim? [Loose translation:] Shlomo Hamelech said to Athmedius: "It is written that "to [God], they are like Toafos R'eim". Toafos are the ministering angels. R'eim is the Sheidim (loosely translated as demons). Shlomo asked: "[I understand that angels are great. But] Sheidim, in what way are you greater than us [humans]?" Athmedius resonded: "let me free from my chains and give me your ring and I will show you my greatness [of the R'eim]". So Shlomo let him free from his chains and handed him his ring. Athmedius swallowed Shlomo [alive], stretched one wing out to heaven and one down to Earth (astronomical proportions) and spat him out 400 pharsangs (about 1600km) away. And then Shlomo [was ousted from his throne and was left with just the clothes on his back and] proclaimed: "What does one gain in all his labour under the sun?" "And this was my portion from all my hard work." Sheidim could disguise themselves as a hill after all did Athmedius not disguise himself as Shlomo haMelech himself (Gittin 68a). They can also fly as indicated aboveAthmedius had wings. Sheidim also have horns as the Gemora in Sotah 48a says about the Sheid that destroys deserted homes: (ישעיהו כד, יב) ושאיה יוכת שער אמר מר בר רב אשי לדידי חזי ליה ומנגח כי תורא - Mar Bar Rav Ashi said "I saw that Sheid (see rashi) and it gores like an ox" i.e it has horns which it gores with. And if you're wondering: Why did the Sheid crouch down in fear when he saw the lion if even a human can kill a lion? This was asked by Caesar to Rabbi Yehoshua in Chullin 59b and Rabbi Yehoshua responded that there is a certain אריא דבי עילאי - Lion of upper realms that when it roared 400 pharsangs (1600km) distance away from Rome, all the pregnant women miscarried and the walls of Rome collapsed even a sheid would be afraid as Amos 3,8 states: “The lion has roared, who will not fear?”. Rav Slifkin, though not cited here as such, says it is most likely to be the aurochs. It is treated fully in the aforelinked encyclopedia (volume 1), but he also addressed it incidentally in this essay. From all the references in Scripture, we know the following about the re’em: It is similar to domestic cattle, but it is a powerful, dangerous animal, and it possesses two magnificent, upwards-pointing horns. There is an animal that perfectly matches this description, and is even called rimu in Akkadian: the aurochs, Bos primigenius. The aurochs (pronounced “oar-ox,” plural aurochses or aurochsen, and also known as the urus) was a huge wild ox that is familiar to few people today, because it became extinct in 1627. The reem (plural: r'aimim) has been described differently in various sources. Bottom line, it is most likely an aurochs. A re'em, [has been] variously translated as a unicorn or a wild ox. It was first identified in modern times with the aurochs by Johann Ulrich Duerst [...] This has been generally accepted, as it is today even among religious scholars. It has been translated in some Christian Bible translations as "oryx" (which was accepted as the referent in Modern Hebrew) and as "unicorn" in the King James Version, possibly referring to a one-horned rhinoceros such as Rhinoceros unicornis. Writing on his Talmudology blog, Dr Jeremy Brown goes through various theories: wild ox, unicorn and rhinoceros. He then concludes it is an aurochs. See also Theresa Bane in her book Encyclopedia of Beasts and Monsters in Myth, Legend and Folklore. Not the answer you're looking for? 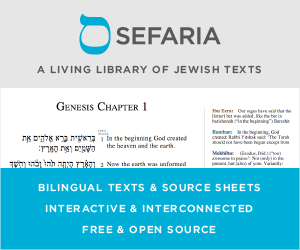 Browse other questions tagged sources-mekorot midrash animals agada-stories-legends king-david .